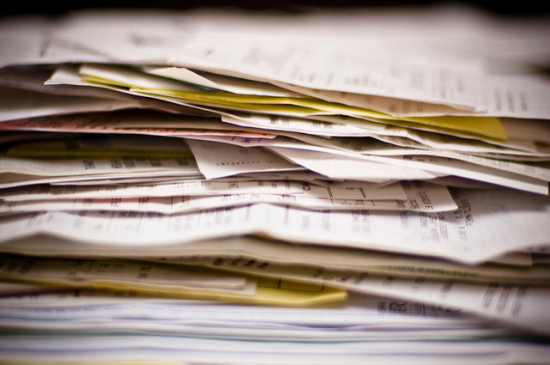 Should you keep or toss your paperwork? It seems like life is full of papers we don’t need – junk mail, receipts for things we won’t return, school papers, paycheck stubs. For a society that’s trending toward paperless, we’ve got a long way to go. But what about bankruptcy papers, including your petition, discharge, and schedules? How long should you keep those? Here’s a hint – they are as important as your will! When it comes to tax returns, keeping the return plus supporting documents for three years after filing is a good rule of thumb. If you’re late paying the tax, keep the return two years from the date you paid or three from when you filed (whichever is later). When it comes to receipts, if there’s a warranty, keep the receipt until the warranty runs out. Otherwise, for anything you might need to take back, just keep the receipt until the return period is up. If you’ll deduct the item as a tax expense, follow tax rules. Even though your bankruptcy petition, documents, and discharge seem like financial documents that could fall under the same timeline as your tax docs, they are NOT. They are far more important and should be kept indefinitely. Why Keep Bankruptcy Papers Forever? Creditors might come back and try to collect on a debt that was part of the bankruptcy. Being able to show the debt was part of your Chapter 7 or Chapter 13 can quickly put a stop to collections for debts you don’t legally owe. Also, creditors sell off bad debt in chunks of thousands (or hundreds of thousands) of accounts. Bad debt buyers are often aggressive and unscrupulous, and having your bankruptcy documents on-hand can be the fastest way to shut them down and keep old items from popping back up on your credit report. In some states, when applying for a professional license, you may also need to prove that your bankruptcy was discharged as part of the screening process. Having certified copies of your paperwork can prevent a delay in your licensure. Which Bankruptcy Documents Should You Keep? The short answer? All of them. Getting copies of your bankruptcy documents from your lawyer can take time, especially if your case is older and the copies are archived off-site. Getting bankruptcy documents from the Federal courts can be costly and time-consuming as well. This is pages and pages of information. The petition alone should be around 70-80 pages once you factor in the schedules and supporting documents. Keep every page. Get a box or large envelope and put them all inside. It’s better to save too much than too little. Put them in a safe place, too – like where you keep your will and other important financial documents – and just leave them there. If you never need them, good. If you do, you know where to find them immediately. To find out more about the benefits of North Carolina bankruptcy, contact the Law Offices of John T. Orcutt. Call 1-888-234-4181 for a free no-obligation North Carolina bankruptcy consultation at one of our locations in Raleigh, Durham, Fayetteville, Wilson, Greensboro, Garner or Wilmington. Get the financial peace of mind you deserve.